Our vintage industrial stools can be used in a wide range of room schemes from modern to rustic. The materials and finishes hint to a traditional, honest approach to manufacture whilst the crisp, cuboid-like form references a modernist aesthetic. They can be mixed in with other designs to create seating variety. The standard height of the vintage industrial stool is 68cm which suits many commonly found bar heights, but we can also make a taller version at 80cm high. 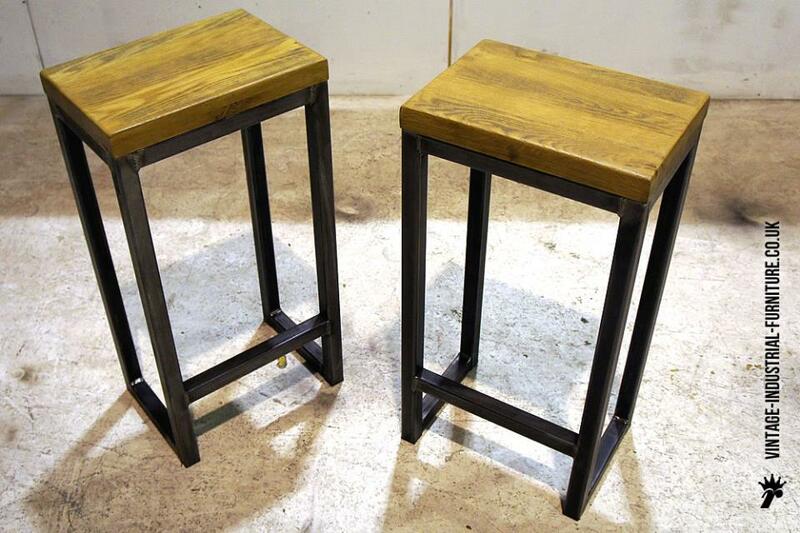 Our vintage industrial stools have a substantial, well-finished wooden seat - also available in a dark stain. For projects on a tighter budget we can also produce the tops from pine. The welded steel frame is robust and is terminated in with floor-friendly feet. The metalwork has a self colour finish. 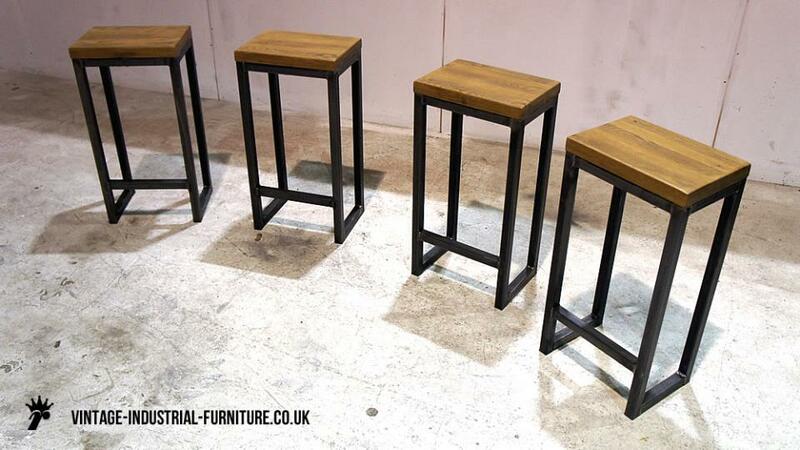 We can also produce our vintage industrial stools with powder-coated frames which can create quite a striking effect.